When you go on vacation, why not consider taking along the family pet? Instead of paying for a sitter, your pets can also enjoy the adventure of exploring an exotic new location. This isn’t a difficult situation if you’re going on a long road trip for some sightseeing, but if you plan on using commercial transportation, you’ll have to do some preparation beforehand. Although it might seem a daunting task, it is not and these steps will help make sure your pet is safe and healthy for the trip. The first step is to make sure your pet is healthy enough for the trip. 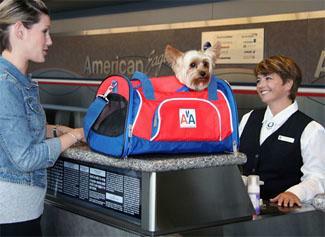 We all know how stressful airline travel can be and even more so for your pet kept in a kennel for a long duration. A visit to the veterinarian can tell you if it’s ready for traveling. Furthermore, if there are any needed vaccinations, you can make sure your pet gets them. This is of particular importance when it comes to international travel. By checking with your veterinarian and the U.S. Department of Agriculture, Animal and Plant Inspection Service, you can make sure you have everything covered. This leads to our second step i.e. proper documentation. Your pet’s health records and vaccinations should be kept up to date and documented properly, and you should have these records with you at all times. Further, if you travel by air, you may need to present a validated health certificate filled out by your veterinarian and authorized by the U.S. Department of Agriculture, Animal and Plant Inspection Service. The last piece of documentation you absolutely must keep with you at all times is proof of ownership, with a tag on your pet as well. 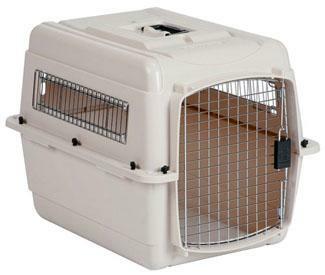 Before the trip, you should get your pet used to traveling in its kennel. Ideally, it should be large enough for your pet to stand, turn around, and lie down with some room to spare, according to the American Veterinary Medical Association, as well as have a secure door and sufficient ventilation. Your pet store can help you with any specific needs for your pet. Make sure it has plenty of food and water for the trip as well as a blanket and some toys to keep it happy. It’s important that your pet gets used to the kennel before the trip, so it won’t be nervous or uncomfortable with the dimensions. On the day you plan to travel, arrive early enough to get your pet relaxed before the travel. For a dog, a brief walk will give it the chance to relieve itself as well as relax a little before entering the kennel. The American Veterinary Medical Association suggests a pet should have an empty or nearly empty stomach before the trip. They also advise against using tranquilizers due to possible health risks later on. If you follow the simple guidelines and cautions listed, you can be sure your pet will have a safe trip, and be ready to share in your vacation adventures. Adrian Williams the author of the “Safety tips for traveling with your pet” loves to travel and dreams of seeing the world. She also has a dog, she loves dearly.